Please note: copyright of these photographs belongs to the photographer. They have given permission for the photos to be used on this website only. The images may not be downloaded and reproduced elsewhere. While this is not really a separate category of paranormal photograph (some photos on other pages originated outside New Zealand), we're receiving an increasing number of emails concerning photos taken at various international locations of note and we thought it'd be interesting to feature a selection of them here. If you have a mysterious photo taken at a well known historical site, whether it has a haunted reputation or not, please let us know. Please note the photo submission recommendations on our main photo page. Castle Williams, Governors Island NY, USA - Ghostly Face or Pareidolia? Cris and her husband visited Castle Williams - a 200-year-old fortress used as an American Civil War prison, among other things - and later noticed this apparent ghostly face in a barred window when zooming in on one of their photos. Pareidolia is one possible explanation, but with the history of this place, who knows for sure. More photos and analysis. Ghostly face, Castle Williams, Governors Island, NY. 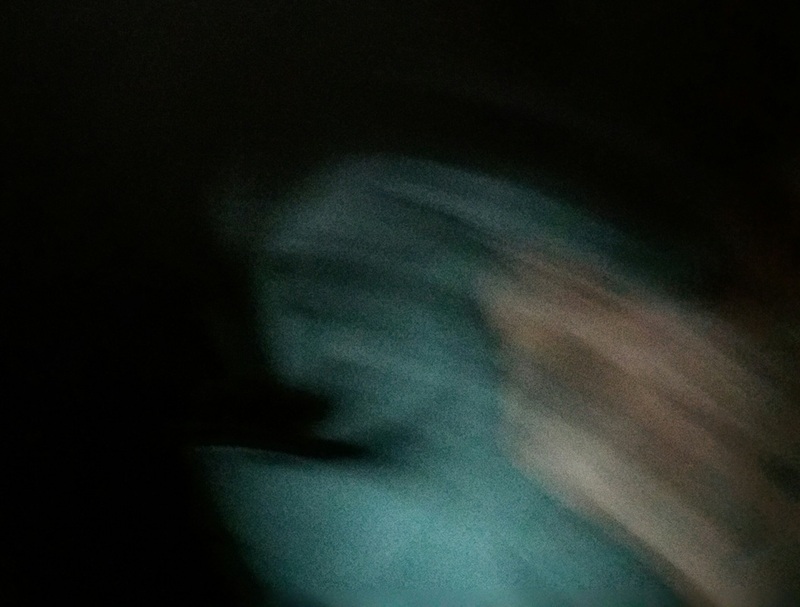 Ecuadorian Ectoplasm caught on video? Jose has kindly given permission for us to post this extraordinary video on our site. The video has been filmed off the monitor screen of a security camera in an office in Guayaquil, Ecuador. We have some ideas about what might be going on here, but we'd very much like to hear your opinion. The movement of the unknown bright object in the video is uncanny and hypnotic. Link to video hosted on this site (video is copyright). You decide! We receive a number of photos originating from trail cameras, usually showing something unexpected that shouldn't really be there. This series, taken in the woods north of Drummond, Wisconsin, USA, by Rich H. is a clear example of a common photographic anomaly. Alternatively, there could be something really strange going on. You decide. Thanks for letting us show your photos here, Rich. More info & photos. Detail of trailcam photo, Rich H.
Kerrie's photo. Click for more info. 'This picture was taken [in 2015] on the i-17 about 100 miles north of Phoenix, AZ at approximately 0800. I was taking pictures of the sunrise and desert floor.' - Chase Strode. Well, there's a certain amount of camera and/or subject movement, but there's no Exif data attached to this to verify what the camera did. 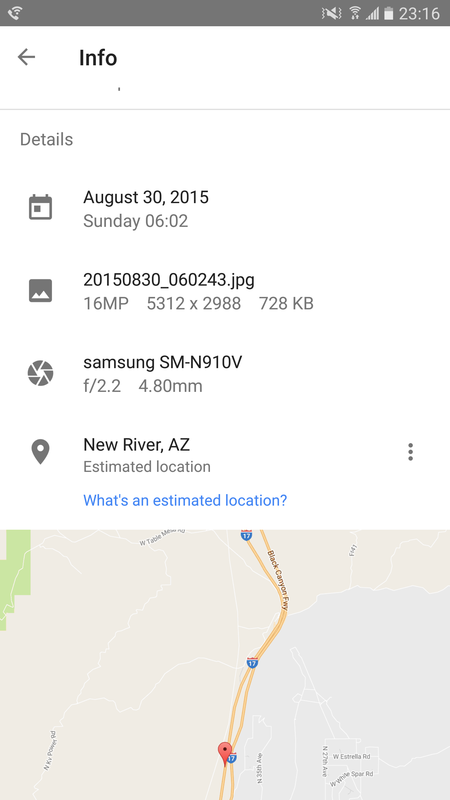 Chase provided a screenshot of the cellphone camera photo data. Pareidolia may well be at play here, but then again it could be anything. We don't know what it is. What do you think? At dawn in the Arizona desert. Photo: Chase Strode. 'Alien Bug' in New York? OK, it's not quite a notable historic location, but it is from somewhere in New York. 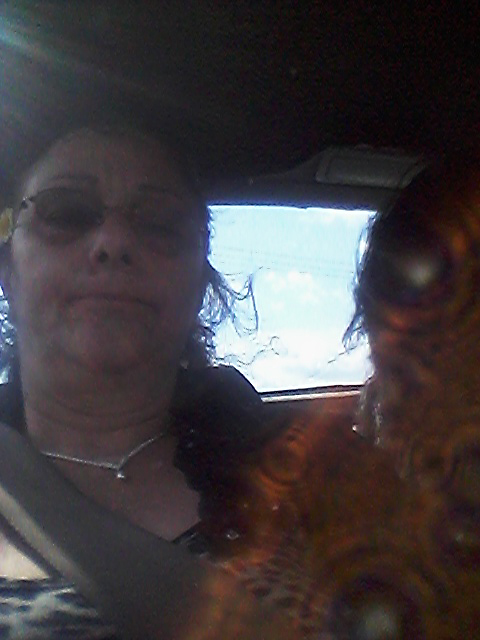 And it's not every day an alien bug appears next to you in a 'selfie' taken during a road trip. Studying additional photos Nancy sent us helped determine that the 'alien bug' is probably the result of lens flare, perhaps combined with something on the surface of the lens interacting with the direct sunlight (which can be seen coming in top left of photo). Also, a woman with long, dark hair is seated between Nancy and the driver (not shown). The lens flare effect goes over her, but it takes on a bit of her silhouette. The closest example we've seen with a similar effect is is the Milford Sound photos in our blog post 'Lens Flare Creating False Positives in Photos', but this is a more defined and, we think, much scarier photo. We would like to thank Nancy Kaplan for letting us post it here.